KANSAS CITY, Mo. 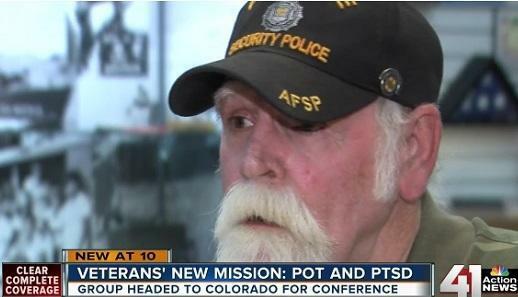 - A group of Missouri veterans will head to Colorado on Thursday for a conference dealing with medical marijuana and how it can help treat post-traumatic stress disorder. The "1st Annual Institute of Cannabis Research Conference” will be held at Colorado State University and feature tours of legal dispensaries and grow operations. Vietnam veteran George Biswell will be one of 22 Missouri veterans traveling to the conference. Biswell will be one of 22 Missouri veterans traveling to the conference.